"Customer First", yes, it's a cliché that a lot of organizations use. They even use catchphrases like "customer centric", "customer focused", or "the customer is always right". Are these just catchy jingles for our websites and break rooms? Or is there a way to incorporate these phrases into our company’s everyday operations? Organizations can't claim these victories without investing heavily in their customers. Putting the customer first every time is a long process that requires constant feedback and a thorough understanding of the needs of our customers or what the customer "feels" is right. This is no different than any other relationship we have. For example, if you don't communicate with your spouse or significant other you won't know their desires, their ideas, or how their priorities are changing. We seek constant feedback to help foster a healthy/loving relationship. Here at SupplySide, we work hard to apply the "customer first" approach every time, and we very deliberately redesigned our website to reflect this. We knew that we wanted something user friendly, something that was easy to navigate, and a tool that would put us toe to toe with our competitors. We wanted an easy to navigate e-commerce tool, and we knew that we couldn't do it alone. Early on in the process, we asked some of our clients to help us get their ideas on paper. This detailed and time consuming process helped us answer a lot of questions. Quickly, we noticed that there were cases where our priorities did not match our customers’. Additionally, we learned that some customers were having a hard time navigating our website. Adding more detail while retaining an ease of use became our top goal for the website. Our clients’ valuable feedback included a suggestion to break things down by category. It made the most sense for us to take their route and adopt what the customer wants. This was an easy negotiation. Our website today has the customer in focus, and it continues to evolve as we learn from what our customers tell us. Please let us know how we can improve and continue to put you first! Our job at SupplySide USA is to equip you with the best self-storage experience and help make your move easy. With this goal in mind, SupplySide USA recommends the following tips for packing and organizing your storage units to save time and maximize space. First and foremost, take a deep, steadying breath and relax. Since there are a lot of belongings that need moving, your first instinct will be just to start packing—don’t! Map out how everything will go into storage before you begin the packing. The first step is to take inventory of everything you need to put away. By following the tips and tricks listed below, you can streamline the entire moving experience. When starting to pack for storage, you will want to maximize the use of the storage space while protecting your delicate items. Storage units are generally eight feet high, so make sure to utilize the vertical space available. Group all your frequently-used items, pack them last and place them in the front of your storage unit for easy access. Create more space by utilizing the available hollow space in large appliances and furniture—just make sure the refrigerator is clean and dried out before packing in there! Dresser drawers are a great place to store things like bedding, clothing or even books. When doing so, remember to leave the drawer a bit open to allow air circulation. By following these self-storage tips, you can avoid clutter and maximize space. Another way to save space is dismantling furniture and breaking down items with removable legs. Putting blankets or sheets between surfaces can eliminate worry for scratches or damage. Make sure that all bolts and screws are kept in a labeled container so that you can put your furniture back together again! Placing moisture absorbers, mothballs, and rat bait in your storage space to avoid mold and unwelcome critters in your belongings! When packing your storage space, it is important to plan. 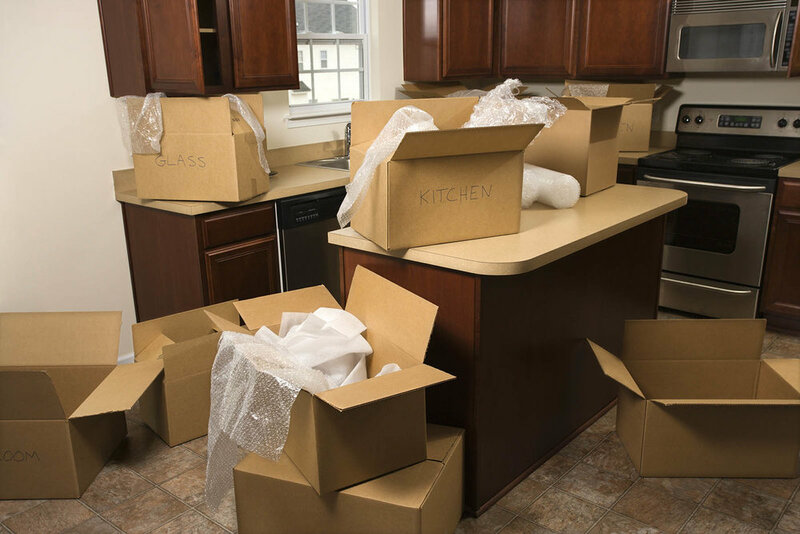 This involves making sure you have all the right packing materials: locks, tape, markers, boxes, packing supplies, and furniture covers. If you are unsure of how much of each you need, contact SupplySide USA to speak with one of our storage experts. Remember, SupplySide USA offers a wide variety of packing supplies at each of its storage locations so that when you're ready to move, so are we! Nowadays, innovation is required to ensure brick-and-mortar stores’ success. In the storage world, a good place to start is establishing oneself as a one-stop shop and having more products on hand. Due to the nature of the business, storage facilities will always be in demand. Such a profitable endeavor can only be more successful with the right tools—or in this case, merchandise. If you already have the goods, you are at a much higher advantage than the self-storage facility that does not. Sometimes, customers do not know they need something unless it is in front of them. In the chaos of packing, transporting, and unpacking items, it is easy to miss a few details. Overlooking whether tape and bubble wrap were packed into their car should not be the customers’ concern, but forgetting them can be an issue once they arrive at their storage unit. That is where having readily accessible merchandise comes into play. It is as simple as letting customers know before they even arrive at their storage unit—a sign outside your store that says, “We Sell Boxes!” does the trick. On an operational note, even asking the customer whether they need boxes or packaging is highly suggested. Providing necessary items gives the customer a sense of security and relief that allows them to continue storing their packages with ease. By having convenient retail handy, your facility becomes the go-to service for the customers’ future storage visits. Another way to increase retail sales is to have your brand present inside your store. Imagine your company’s name popping into the customer’s head when they think of moving or storing their items. Selling your branded products lends the image of efficiency, expediency, and sophistication in a manner that few other viable avenues can than having a box with your logo. Making your logo synonymous with self-storage is an achievable goal! With the right tools and placing the logo on products, competing with larger, corporate-owned businesses becomes more manageable. In a similar vein, undoubtedly the most “right” tool is the lock. Even if a storage owner believes they do not need merchandise, they should certainly have locks convenient for purchase. Disc, cylinder, laminated or brass padlock, whatever your facility uses, make sure you don’t make the customer trek down to the nearest hardware store to search for it. Customer Satisfaction is always the end goal. By providing tape, boxes, foam peanuts, rubber balls, mattress covers, newsprint, and locks, you show the customer that you have predicted their needs and have the desired commodities in stock. 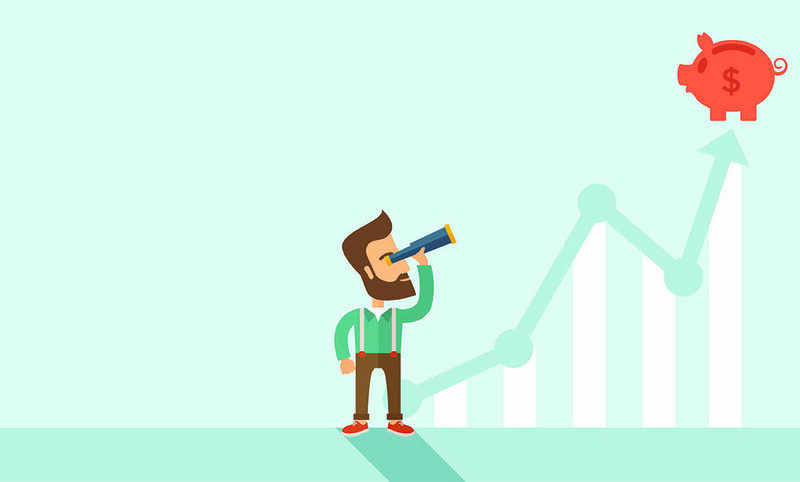 You don't need a crystal ball to forecast what a client will require to increase your profitability. By understanding this special relationship between sales and demand, making your company the customer's first choice storage facility is possible. In stocking up on highly needed items, you advance the company's image, generate the most profit, and boost your bottom line. Every year, Penske raises money and supplies to help United Way in Berks County, Pennsylvania. This year they gave Thanksgiving Dinner to 123 families. Supply Side USA is proud to have helped this with their efforts. If you have some left over boxes (we used some small PackRite DecoBoxes), you can make this simple and easy turkey decoration! First, trace out the shapes you will need for the turkey. as many feathers as you desire. Once you have everything all cut out, simply glue/tape the feathers to the back of the box first. If you do not have any boxes with designs, paint the feathers to any color you would like. Then, glue/tape the beak and gobble to the head. Next, make two slits on the side of the box, and one on the top. Place wings in the side slits, then the head into the top slit. Once everything is on the box, you can marker on eyes or buttons. The National Retail Federation came out with its Holiday shopping forecast this week. Things are looking very encouraging this year. Conservative estimates by the NRF show that retail sales will be 3.6% better than 2015 and would be at the 2nd highest level of personal spending in the last thirteen years. At Supply Side, we look forward to the holiday season for multiple reasons. This is a time when friends and families get together, the mood in the office is festive, and we are busy trying to close out the year while planning for the new one. This is a very productive, and fun time of the year for us. This is also a time of increased communication between our teams to ensure that we deliver the highest quality of service at all levels. We have created a Christmas Products section on our website. Over here you can find everything from boxes, and mailers to stocking stuffers, gift wrap tape, and batteries. We created this section with our partners in mind. The dedicated area gives you the ability to browse our many holiday items. Check it out! We have also been doing email campaigns for our decorative boxes and mailers which we discounted at an enormous 30%. This so you can stock up for your customers. Call us if you haven’t taken advantage of this promotion. As I write this we’re only forty-five days away from Christmas. Thanksgiving is only two weeks away! We want to help you in any way we can to make this the best holiday season. Email us, or give us a call. We’re here to serve you! This is a quick and easy DIY that anyone can do to make your own transfers/stickers out of packaging tape. First you need to gather your supplies: clear packaging tape, scissors, your image, and what you're going to put it on. Second, you trim your image and apply the packaging tape. It's better to leave more tape around the sides because the image itself will not be sticky enough to stick to anything. If you have a bigger picture, just layer as much tape as you need until the image is completely covered. Also it is important to remember that anything that is white in your picture will show up transparent. Next you need to burnish your image. For this you can just use and credit card or even your fingers. It's just to make sure that the image is completely stuck to the tape and that there are no air bubbles in it either. Now you need to soak your tape-covered image in a bowl of warm water for about 2-3 minutes. Once your image has soaked, start to rub it in between your index finger and thumb. The paper on the back will start to come off. Dip it in water and continue to do this until the paper is off. It's okay if there is some white residue left over on the tape. Then you let your tape dry and once it's dry you can stick it on whatever you want! You can make anything you want into a sticker! Happy Halloween from everyone here at Supply Side USA! 3. Use a bunch of boxes and go as Tetris with your friends! When you're dealing with fragile items, sometimes just using one box won't provide enough protection. To provide double the protection, try using two boxes by nesting a box within a box. To start, wrap about two inches of cushioning around your item and place your cushioned item into a box. Use peanuts or some other cushioning material to restrict the movement of the item within the box, with a minimum of two inches thickness on each side. Restricting movement is very important so your item won't get broken or damaged. Place the first box into a second box at least six inches longer, wider, and higher than the first. Use the same cushioning material that you did with the first to keep the smaller box from moving around too much in the larger one. When you are passionate about it, work is a lot of fun. Well, anything is fun when you’re really into it, and great results happen without pushing too much. As the saying goes, time flies when you’re having fun! Our company’s mantra/tagline is “Creating retail excellence”. Tim, our VP of Marketing, discussed the need to involve clients and get their input in his last blog post. I would like to talk more about working together with the client. Recently, I’ve been touring stores and helping them see the value of setting up visual displays. I connected with Thomas Heinz, one of the UPS stores franchisees in the New Jersey area. He pointed me to a few stores in his area that were in need of retail assistance. Upon visiting with store owners I was able to present some of our SupplySide retail options that can help each store maximize their retail space and sales. The store in New Bergen, NJ had 8 feet of retail space. With the SupplySide plan-o-grams, I was able to work in 4 feet of office retail space, 4 feet of shipping retail space, and I customized their space to fit their retail needs and budget. I worked with the store to help them set up and merchandise their retail cabinets with the SupplySide merchandise they ordered. I talked them through the merchandise and showed them exactly how to set up their retail cabinets. Currently, I’m working with a few other stores in the area to create a retail space that fits their needs. The week flew by. This was work meeting fun. It was nice to connect with so many people and share with them how SupplySide can actually help “create retail excellence”. I’m sharing a few pictures. Please contact me via email at sstinson@supplysideusa.com if you would like to know how you can set up your retail space. Check out our Featured Employee for the month of October! Check out our Featured Product for the month of October! When sealing your boxes closed, you should always use the proper method. We recommend using the H-tape method. For the most protection, you simply apply tape across all of the boxes open seams. That will make an H-shape across the top and bottom of your box – hence the name “H-tape method”. If you want to seal your boxes more quickly, but still want a strong seal, you can move the tape inwards some and tape near the seams of the box instead of directly on them. If you have an irregularly shaped box just make sure to apply tape to all of the seams or near them. Also, if you have something like a tube, be sure to secure the two sealed ends of the tube with tape. Check out our featured product for the month of September! Check out our featured employee for the month of September! On Monday August 29, 2016 Supply Side USA, along with PWC Group had the honor to welcome US Senator Sherrod Brown for the official grand opening of our new headquarters. Brown met with our company's leadership team and employees, while we discussed our values and services with him. Sen. Sherrod Brown (center) cuts ribbon to celebrate grand opening of Supply Side USA. Sen. Sherrod Brown spoke to leaders and employees of Supply Side USA.